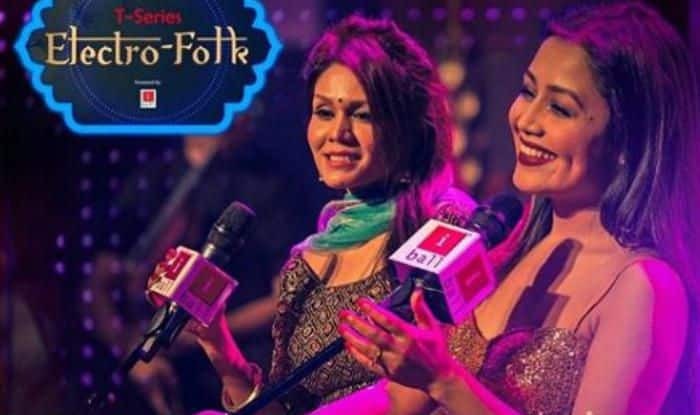 Neha Kakkar and Sonu Kakkar’s latest Electro Folk song Chamba released today on YouTube. The song features Neha along with her sister Sonu and both sing the song in a proper music setup studio. Well, the song is a soothing number and a recreated version of a popular track by Mohit Chauhan Mai Ni Meriye. The song which released a few hours ago is going viral and has garnered around 56,808 views and still counting. In the video, two dancers are seen dancing romantically and then the camera focuses toward Neha and Sonu Kakkar. The song is sung by both the sisters and the music is composed by Aditya Dev and the lyrics have been penned down by Kunaal Vermaaa. The song will definitely touch your heart and me you listen to the song on the loop. Earlier, she has collaborated with Punjabi singer Honey Singh for his latest song Makhna. The song has been produced by Bhushan Kumar and directed by Mihir Gulati. It has been sung by YoYo Honey Singh, Neha Kakkar, Singhsta, Pinakim Sean and Allistair. The lyrics have been penned down by Honey Singh, Singhsta and Hommie Dilliwala. Earlier, on the sets of Indian Idol 10, Neha and Himansh confirmed their relationship. Himansh surprised Neha by visiting the sets of the show and she was overwhelmed by his cute gesture. On the professional front, Neha’s latest song from Simmba starring Ranveer Singh and Sara Ali Khan ‘Aankh Maarey’ became a rage on the internet. She is now gearing up for her live show in Guwahati where she will be entertaining the audience with her melodious voice.